The Pinhook is one of Durham’s premier venues for live music, excellent DJs, basic chilling, and collaborative creative events. State-of-the-art 2,800 seat live entertainment theater in the American Tobacco District of Downtown Durham specifically designed to present the biggest shows on tour, including the Suntrust Broadway Series, superstar concerts, and family performances. 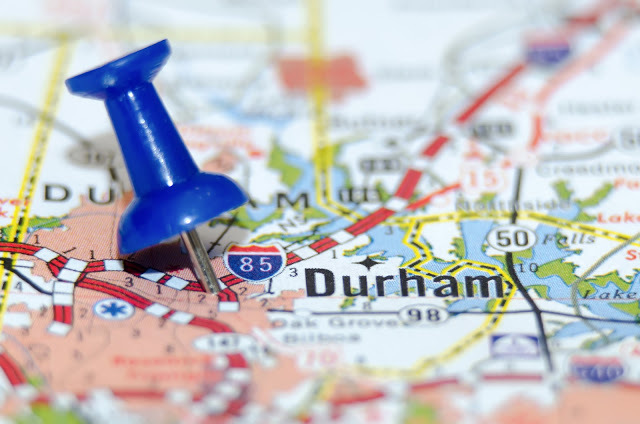 Located just blocks from Downtown Durham, the Museum of Life and Science is one of North Carolina’s top family destinations. Situated on 84 acres, their interactive science park includes a two-story science center, one of the largest butterfly conservatories on the East Coast, and beautifully landscaped outdoor exhibits which are safe havens for rescued black bears, lemurs, and endangered wolves. Situated in the Central Park District of Downtown Durham, the former mid-century car dealership is Durham’s largest music venue with a 500-person capacity. Motorco features nationally touring acts and the area’s biggest headliners. Includes the restaurant and bar (Parts and Labor), a delicious mix of items inspired by global street food. Alley Twenty Six is a sophisticated cocktail and wine bar serving a menu of charcuterie and small plates in swanky surrounds. Located in downtown Durham, The Blue Note Grill serves NC-style smoked BBQ and ribs and features live blues music on Fridays and Saturdays. A local hotspot that serves as a coffeehouse, popular lunch care, and late night lounge. Beyu Caffe offers locally sourced menus, live jazz music, cocktails, spirits, and more. Duke Performances presents professional performing arts at Duke University in Durham, North Carolina. Through superb performances, outstanding visiting artist residencies, and the development and commissioning of exciting new work, Duke Performances is forging a culture that supports performance and encourages meaningful engagement with the Duke Campus and Durham community. Annually, Duke Performances offers a robust season of 60-70 world-class performances, making extensive use of a network of Duke and Durham venues, and presenting artists spanning classical, new music, jazz, Americana, independent rock, international music, theater, and dance. The Green Room Cafe and Coffee House serves fresh artisan-crafted sandwiches and entrees, baked treats, beer, wine, espresso, smoothies, and teas. The Cafe offers vegan and vegetarian options. The Green Room is known for mouth-watering gourmet entrees, cozy ambiance, and personalized service. Live music happens on Fridays and Saturdays beginning at 6:30 pm. The people of Durham voted this the best place to shoot pool, too! Part of the Durham Civic Center Complex, the renovated, Downtown historic Beaux Arts Carolina Theatre features Fletcher Hall, a 1,016-seat auditorium and two art cinemas which show amazing independent films. Fullsteam Brewery is Durham’s second craft beer brewery and is devoted to a “plow to pint” philosophy of using local produce to make their beers. The facility is also home to a tavern open nightly and an event space that can be rented for special occasions. 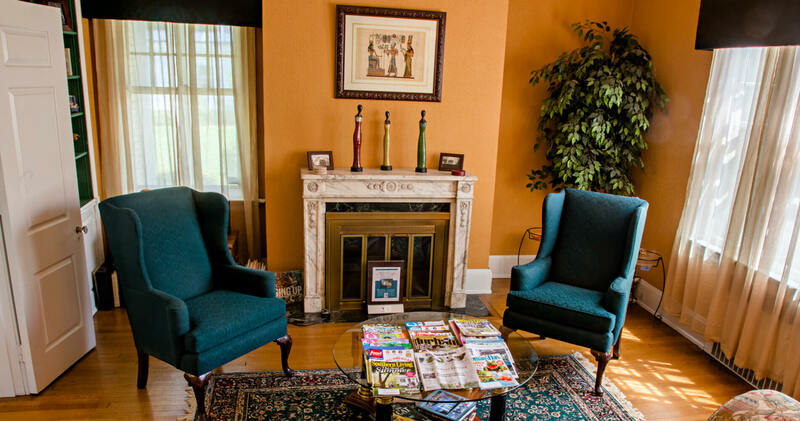 The #1 black-owned bed and breakfast is Morehead Manor in Durham, North Carolina. We love to host guests and serve them a fresh gourmet breakfast each morning. We look forward to your stay in one of our luxurious rooms. This entry was posted in Uncategorized and tagged bar, blues, Durham, independent film, international music, jazz, karaoke, Morehead Manor Bed and Breakfast, museum, pool, theater, trivia night by admin. Bookmark the permalink.